When a crime has been committed and the police have been sent for, and there is a suspect who is identified to the police, the police will endeavor to apprehend that suspect and make an arrest. The 4th Amendment to the United States Constitution necessitates that there be probable cause to arrest somebody. Probable cause for an arrest subsists when the facts and circumstances are such that a person of ordinary caution or prudence would believe and reliably entertain a strong suspicion of the guilt of the accused, so much that the suspect should be taken into custody to stand trial. Before the police can arrest anyone, and before a judge can issue an arrest warrant there must be probable cause. An oral complaint to a police officer by a victim of, or witness to, a crime can be enough to support probable cause. Although there may not be enough evidence of probable cause, the police may stop and keep a person in custody to conduct a brief investigation. To do this the police must have some reasonable suspicion that a crime is being, is about to be or has been committed. This reasonable suspicion must be based upon specific and logical facts. Normally, the police can arrest someone for any felony committed in their presence or reported to them, and any misdemeanor or infraction committed in their presence. Generally, by statute, the police cannot arrest for misdemeanors or infractions not committed in their presence (with the exception of violations of domestic violence restraining orders, domestic violence offenses, possession of a dangerous or deadly weapon within an airport, assault and battery upon a firefighter or paramedic, some driving under the influence offenses, and jail escapees). Instead, the victim or a witness to the crime may perform a citizen’s arrest, in which they would arrest the suspect and immediately turn the suspect over to the police, who handle transport and booking. 1. You have the right to remain silent and refuse to answer questions. Do you understand? 2. Anything you do say may be used against you in a court of law. Do you understand? 3. You have the right to consult an attorney before speaking to the police and to have an attorney present during questioning now or in the future. Do you understand? 4. If you cannot afford an attorney, one will be appointed for you before any questioning if you wish. Do you understand? 5. If you decide to answer questions now without an attorney present you will still have the right to stop answering at any time until you talk to an attorney. Do you understand? 6. Knowing and understanding your rights as I have explained them to you, are you willing to answer my questions without an attorney present? When arrested, the suspect is taken to the police station, where he or she is searched and booked. Booking is where personal information such as the suspect’s name, place and date of birth, weight and height is recorded, the defendant is fingerprinted and photographed, and a police report containing the important facts of the crime is prepared. After this, several things could occur. Typically, the suspect is booked and the case is passed on to the prosecutor for filing. In a few cases, after the watch sergeant, watch commander or other supervisor evaluates the report, he or she may decide that there really is not enough evidence to pass on the case for prosecution. In which case, the suspect is released and no charges are filed. BAIL / O.R. (Own recognizance):Your get out of jail card! Once booking is completed, the case is passed on to the prosecutor for the filing of charges. The prosecutor examines the police report and determines which offense(s) the defendant committed. The prosecutor then puts together a criminal complaint, which is filed with the suitable court, indicting the defendant with one or more crimes. In this respect, the prosecution has immense discretion as to what charges to file. Then again, in some jurisdictions, the prosecutor may choose to hold an informal hearing between the suspect and the victim, before filing charges, if the offense is a minor offense and not a violent one. Examples include neighbor disputes, noise violations and the like. If, however, after reading the police report and talking to the arresting officers, the prosecutor feels there is not enough evidence of a crime, or that the charges the defendant is accused of is not a crime, the prosecutor will refuse to file charges. This is known as a “DA reject” and the suspect is released. Some offenses can be charged either as a felony or as a misdemeanor. These are informally known as wobblers. It is up to the prosecutor to decide weather to charge such an offense as a misdemeanor or as a felony. Whether or not a crime fits into one category or the other depends on the possible punishment. It is generally considered a felone if the law provides for imprisonment for longer than a year. The crime is considered a misdemeanor if the potential punishment is for a year or less. Wobblers may be considered either a misdemeanor or a felony, because under some conditions the punishment may be imprisonment for less than a year, and in other situations, the accused may go to prison for a year or more. Behaviors punishable only by fine are usually not considered crimes at all but infractions – for example traffic tickets. But a legislature may on occasion punish behavior only by fine and still provide that it is a misdemeanor. When the complaint is prepared, it is filed with the clerk of the court and given a case number, then a date for arraignment is set. A felony is a criminal offense punishable by death or by incarceration for typically one year or more. This is the very first court appearance the accused will have and it is the process by which a person is brought before a court to hear and answer criminal charges against the accused. Personal presence is required. If the accused is out of custody, he or she must be on time no matter what. The defendant should definitely have a criminal defense lawyer with them. 1.) Defendant is advised of his or her constitutional rights. 3.) The charges are read to defendant, and a copy of the complaint is provided. 4.) Defendant is invited to enter a plea to the charges. 5.) Bail is determined, which may be different than the presumptive bail amount, or defendant may be released on his or her own recognizance. 6.) A date for the defendant’s next court appearance is set. As discussed more in depth below, that next date may be a preliminary hearing if at least one of the charges is a felony, or a pre-trial hearing if charges are misdemeanors only. 2. Bail Review / O.R. (Own Recognizance) The second step is the bail review. The accused is entitled to bail review within three days of the arraignment. Bail is money that an arrested person gives to a court to ensure that he or she will appear in court when ordered to do so. The Eighth Amendment to the U. S. Constitution requires that bail not be excessive. Released “on their own recognizance,” or “O.R.” means if the accused has strong ties to a community, has little or no past criminal record, a job, and is not a danger to the community or a flight risk, a judge may be convinced to grant an O.R. release. Simply put, the accused released on O.R. must simply sign a promise to show up in court and doesn’t have to post bail. If the judge denies O.R. release, then a lower bail amount will be requested by your Los Angeles criminal defense attorney. The third step is the first readiness-conference sometimes called a settlement conference or a prelim setting. It is set before the preliminary hearing and is a good opportunity to try and resolve the case through a plea bargain. These conferences also provide an opportunity for your lawyer to obtain from law enforcement and the prosecutor, necessary information called discovery for your defense. The fourth step is the preliminary hearing. If the defendant is charged with a felony, he or she is entitled to a preliminary hearing before a judicial officer within 10 court days of arraignment. (Persons charged with only misdemeanors are not entitled to a preliminary hearing.) The purpose of the preliminary hearing is to weed out weak or unmeritorious charges. Usually it is in your best interest to get this out as early as possible to allow your attorney time to attempt to settle and get prepared for the preliminary hearing. At the preliminary hearing (a.k.a. “prelim”), which is relatively informal and held before a magistrate (a judge) without a jury, the prosecutor must show that there is a strong suspicion that a crime has been committed and that the defendant is probably guilty. This evidentiary standard is relatively easy to meet, and is far less than the “beyond a reasonable doubt” evidentiary standard used at trial. This means that a defendant may be held to answer upon evidence that would be insufficient to sustain a conviction at trial. Most preliminary hearings are fairly short. Most are less than one hour long, although in complex cases they can last longer, and some even go on for several days.. If the prosecutor makes the required evidentiary showing at the preliminary hearing, the defendant is said to be “held to answer”. That is, he or she must stand trial on the charges. This is sometimes referred to as being “bound over” for trial. Occasionally, the magistrate is not satisfied that the prosecutor has met the required evidentiary standard and dismisses some or all of the charges. If all charges are dismissed, the defendant is discharged and, if in custody, immediately released. The prosecutor may, however, immediately re-file the charges, in which case the defendant may be re-arrested and a new preliminary hearing held within 10 court days. If the charges are again dismissed by the judicial officer, the defendant is again discharged. In that case, the prosecutor may not, with a couple exceptions, re-file the charges a third time. If only some charges are dismissed, the defendant is “held to answer” on the remaining charges. If the charge is one that can be charged as either a felony or a misdemeanor, the magistrate may reduce the charge to a misdemeanor. An example would be unlawful possession of methamphetamine, a violation of Health and Safety Code section 11377(a). If, after hearing the evidence at the felony preliminary hearing, the amount of methamphetamine is, for example, quite small and the defendant had no other criminal record or a fairly minorrecord, the magistrate might choose to reduce the charge to a misdemeanor. If so, the case then proceeds along the misdemeanor track. The fifth step is the second arraignment or the arraignment on information. If the felony charges are not dropped at the preliminary hearing, you will be arraigned in superior court where your trial will later be held. This is the arraignment after you have been bound for trial at the preliminary hearing and the next settlement conference date is set at this time along with a trial date. This is also an opportunity for your criminal defense attorney to file motions and demand further discovery. When the defendant is held to answer to a felony charge, the case is transferred to the trial division, where the prosecutor files a new document called “an information”, which contains the offenses the defendant is accused of committing. The defendant must be arraigned on the information within 15 days of being held to answer. At the arraignment on the information, all of the procedures that occurred at the initial trial arraignment occur again. At arraignment, the judge will set a pretrial hearing, as well as a trial date. The trial must commence within 60 days of the arraignment on the information, unless the defendant requests or agrees to a longer time. At this arraignment, the defendant again enters a plea, and if it’s “not guilty”, the case is set for trial. Again, the prosecutor may offer the defendant a “deal” to resolve the case without a trial. If the defendant accepts, then a guilty plea is taken, and the matter is put over for two to four weeks to obtain a probation and sentencing report from the county Probation Department, which will include a sentencing recommendation. In the trial division, the defendant may challenge the magistrate’s holding order by filing a 995 motion (named after the Penal Code section permitting such motions). On the motion, the trial judge reviews the transcript of the preliminary hearing to see if there was sufficient evidence to support the holding order. If there was, the motion is denied, and the case proceeds to trial. If not, the motion is granted and the information or part of it is dismissed. At the pre-trial hearing, the defendant may file a suppression motion, also called a 1538.5 motion (also named after the Penal Code section that permits such motions). In the motion, the defendant typically claims that he was stopped, arrested or searched in violation of his or her constitutional rights; that is, that the police did not have a warrant and otherwise lacked probable cause for the stop, arrest or search. If the case is not resolved at the pre-trial hearing, the court may set additional pre-trial hearings. Eventually, a final pre-trial hearing is set, called a readiness conference. At the readiness conference, the parties will make an attempt to resolve the case without a trial, and discuss any issues pertaining to readiness for trial, such as witness availability. If the case cannot be resolved, it proceeds to trial. The seventh step is the pre-trial motion hearing. This allows the defendant’s criminal defense attorney the opportunity to challenge evidence that the prosecutor may try to introduce at trial. The eighth and final step is the jury trial. If the defendant is answer ready on this date he or she will be assigned out to trial court, and the trial will begin within a day or so. There must be a unanimous verdict for guilt. There will usually be 12 jurors and 2 alternates. In some cases a jury trial is waived and the defendant is tried before only a judge. This is called a court trial. Defendants must be brought to trial within a specified time period. For felony cases, it is within 60 days of arraignment on the information, unless the defendant agrees or consents to a later date. For misdemeanors, it is within 30 days of arraignment on the complaint if the defendant is in custody at arraignment; and within 45 days from the arraignment if the defendant is out of custody at arraignment. Unless, the defendant agrees or consents to a later date. There are five basic parts to a jury trial: jury voir dire (questioning) and selection, opening statements, presentation of evidence (divided into People’s case, defense case, and People’s rebuttal), closing arguments, and verdict and sentencing. On the date set for trial, the judge will hold a pre-voir dire conference with lawyers. At this conference, the parties will present a brief outline of the nature of the case, identify witnesses, the people’s theory of liability, and defendant’s theories, how jury selection shall begin. Occasionally both parties will waive a jury, in which case the judge will determine whether the defendant is guilty or not. Otherwise, a jury must be selected to make that determination. Jury selection begins with the judge directing the clerk to call the jury assembly room in the courthouse, and have a panel of prospective jurors sent to the courtroom. In a typical criminal case, a panel is composed of 30 or 35 prospective jurors. To obtain such panels, the Jury Commissioner must summon prospective jurors to court. Names of prospective jurors are obtained from the property tax rolls, licensed driver rolls, and registered voter rolls. Persons summoned receive a court order to appear for jury duty, unless disqualified or excused. Everyone is eligible to be a trial juror, except non-citizens, minors (under age 18), non-residents of California, non-residents of the county, convicted felons, persons who do not possess a sufficient knowledge of English, persons already serving as a trial grand juror, and persons who are the subject of a conservatorship. When the jury panel arrives at the courtroom, attendance is taken by the bailiff or the clerk. Then, the prospective jurors are ushered into the courtroom and seated in the gallery. They are welcomed by the judge and administered an oath to truthfully answer all questions concerning his or her qualifications to be a juror. Next, the clerk calls and seats a group of prospective jurors. In many courts, this initial group is composed of 18 prospective jurors: twelve in the jury box and six seated in front of the box. Once the first group of prospective jurors are seated, the judge gives a brief introduction to the case by introducing the criminal attorney and prosecutor, the court staff, the defendant and the witnesses, telling the prospective jurors about the charges, explaining the burden of proof and how voir dire will proceed. The judge then verbally examines each juror individually in open court on the record. Once that is completed, the judge will allow the attorneys to also briefly examine the prospective jurors. Once the judge and the attorneys have examined all of the prospective jurors, the judge invites the attorneys to the side bar, outside the hearing of the prospective jurors. There, the attorneys offer any challenges “for cause” as to any prospective jurors. A challenge “for cause” means that the juror does not meet the qualifications to serve as a juror, because he or she lives in another country, has a bias against the defendant, has pre-judged the case, has a bias for or against law enforcement officers, or similar grounds for believing that the juror cannot be fair and impartial. Once the challenges are made the judge rules on them. If granted, the prospective juror is thanked by the judge and excused. Challenges for cause occasionally occur. Once Challenges for cause are handled, the judge and the criminal attorney and prosecutor return to open court and the parties begin to exercise peremptory challenges. In most criminal cases, each side has 10 peremptory challenges. In death penalty and life imprisonment cases, each side has 20 peremptory challenges. If there are multiple defendants, then the defendants receive 10 joint challenges, which can only be exercised by mutual agreement of the defendants, plus five additional separate challenges for each defendant. The prosecutor receives the same number of challenges as all criminal attorneys have, jointly and separately. Once both sides are either out of peremptory challenges or accept the 12 prospective jurors, the 12 are sworn in as jurors. The judge, criminal lawyer and prosecutor also select one to four alternate jurors (in very long or complex trials sometimes more than four), who will also be seated and hear the evidence, but who will not participate in deliberations unless one of the 12 regular jurors is excused from the panel. Normally, jurors are allowed to return home at the end of each court day and are free to go elsewhere during breaks, such as the lunch recess. In a few cases, however, where there is a concern that the jury may be influenced by outside publicity or public pressure, the court may order the jurors sequestered. In that case, the bailiff has full time charge of the jury, and provides food and lodging to the jurors during trial, at public Expense. Jurors who are sequestered have only limited contact with those outside the court system, including family and friends. They are also limited in the material they can read and the television programs they can watch. Once the jurors and alternate jurors are seated, the trial begins. First, most judges give the jury a brief introduction to the case and the participants in the trial and some preliminary instructions on how to approach their duties. This usually includes reading the criminal complaint or information, introducing the criminal lawyer and prosecutor, and defendant and court staff to the jury, explaining the quantum of proof necessary before the jury can find a defendant guilty (proof beyond a reasonable doubt), and explaining about direct and circumstantial evidence. Next, the criminal defense lawyer and prosecutor may make opening statements, with the prosecutor going first. These statements are a brief “road map” for the jury and judge about what each side expects the evidence to prove. The statements are expected to be factual and not argumentative. It is common for the criminal attorney to reserve its opening statement until after the close of the prosecutor’s case, but sometimes the criminal attorney will give his or her opening statement immediately after the prosecutor’s. Once these preliminary matters are completed, the prosecutors “case-in-chief” begins, with the prosecutor calling percipient and expert witnesses who have relevant testimony. Percipient witnesses are witnesses who saw or heard or experienced something that is relevant to the defendant’s guilt or innocence. An example of a classic percipient witness would be a crime victim or eyewitness. Expert witnesses testify about subjects that are usually technical or scientific, but can testify on any subject not within the common experience of most persons and who are qualified by education, training or experience. The witnesses are first examined (questioned) by the prosecutor. The criminal attorney can object to any question that the defense thinks is not allowed by the rules of evidence. The prosecutor can then again examine the witness, but the examination is limited to the scope of the cross-examination. This second examination of the witness is called re-direct examination. This back-and-forth process continues until both sides excuse the witness. During its case-in-chief, the prosecutor may also introduce exhibits. Exhibits are things such as a gun, the results of a lab test of blood for the presence of drugs, a lab test on a substance in defendant’s possession showing the substance to be illegal narcotics, or a forged check..
After the prosecution has completed its evidence, the prosecution rests. At this point, the defendant may make a motion for a judgment of acquittal, also called a Penal Code section 118 motion. In bringing this motion, the defendant is claiming that the evidence then before the court is so insufficient as to one or more counts that no rational jury would convict. If granted, the charge is dismissed. If denied, the defense phase of the case begins. It is important to remember that a defendant never has to prove his or her innocence, and a defendant does not have to say anything, do anything or prove anything. The burden of proving the defendant’s guilt beyond a reasonable doubt always remains with the prosecution. If the defendant chooses to do so, at this point, the defendant may present his or her witnesses and exhibits, with the prosecutor being able to object and cross-examine. The defendant may even decide to waive his or her constitutional right to remain silent, and testify, subject, of course, to cross-examination by the prosecutor. Alternatively, the defense will occasionally rest without presenting any evidence. This is usually occurs when the defense believes that the prosecutor has not proved the case beyond a reasonable doubt. If the defense puts on evidence, afterwards, the prosecution may offer rebuttal evidence. The prosecutor may not, however, fill in gaps in the case-in-chief under the guise of rebuttal evidence. Once both sides have rested, the judge will then instruct the jury on the applicable law by reading the jury ‘jury instructions’. These instructions are usually standardized instructions and include such things how to evaluate the evidence, the standard proof required (beyond a reasonable doubt), the elements of each charge that has to be proved and some guidelines on how to conduct deliberations. If there is a dispute as to what law applies to the case, the judge will decide what instructions to give. Finally, the parties are allowed closing argument, where each side argues what it believes the evidence shows and what inferences the jury must draw from the evidence. The prosecutor, because he or she has the burden of proof, is allowed two arguments: the opening argument and a rebuttal argument to answer the criminal attorney’s argument. The defendant only argues once, but may waive argument, in which case the prosecutor is not allowed rebuttal. When all argument is completed the case is submitted to the jury for a verdict. The bailiff takes custody of the jury and to ensure that the jury’s deliberations are not interfered with by outside information or persons. The jury is required to decide the case based only on the evidence presented at trial, reasonable inferences drawn from the evidence and the applicable law. The jury is not allowed to conduct a further investigation, or consult other sources or persons. To insure that there are no outside influences, the jury retires to a private room to conduct its deliberations. The first thing a jury does is select a foreperson, who then leads the discussion. Any member of the jury may be the foreperson. Then they decide the charges, one by one. Once deliberations are completed, if the jury has reached a unanimous verdict one way or the other on each charge, the foreperson advises the bailiff and is conducted back into court. Once back in court, the judge has the clerk read the verdict(s). It is customary for the defendant and his or her criminal attorney to stand and face the jury when the verdicts are read. Once read, the clerk asks the jury if those are the jurors’ true verdicts. The jury answers as a group. If a guilty verdict to some or all of the charges, the defense usually asks that the jurors be polled individually. If polled, the clerk asks each juror, by juror number “Juror No.1, is that your verdict?” and the juror answers “yes” or “no.” If the verdict is recorded, the jury is thanked and discharged, and sentence is either pronounced immediately, or a time for sentencing is set. If out of custody, the judge may remand the defendant into custody, pending sentencing. If there is a not guilty verdict as to all charges, the jury is not usually polled. The jury is again discharged and the defendant is also discharged, which means that the court loses jurisdiction over the defendant and he or she is free to leave. Occasionally, the jury cannot reach a unanimous verdict on some or all of the charges. In such cases, the jury is said to be deadlocked or hung. When the foreperson advises the judge that the jury cannot agree upon a verdict, the judge may inquire of each juror whether any further deliberation would be helpful, or if additional instructions would be helpful. If the foreperson indicates which charge the jurors cannot agree upon, the judge may even allow the criminal attorney and the prosecutor to re-open closing argument and re-argue as to that charge. If, after any further deliberation, the jury cannot unanimously agree upon a verdict, the judge will declare a mistrial, and discharge the jury. The judge may reset the case for a new trial or dismiss the charges. In non-death penalty cases, if the defendant is convicted of at least one of the charges, the next phase is the sentencing. If it is a death penalty case, the next part is the penalty phase. This is where the prosecution presents evidence as to why this defendant is deserving of the death penalty. The criminal defense lawyer presents mitigating evidence as to why this particular defendant should not be sentenced to death. The jury then decides if the sentence should be death or life imprisonment without the possibility of parole. The last phase of a criminal case is the sentencing of a convicted defendant. Most crimes are punishable by a term of incarceration in a jail or prison and a fine. Sentencing for misdemeanors and for felonies is somewhat different, so they are discussed separately. For some felonies, the defendant may be granted a term of formal probation, with certain conditions. The basic difference between misdemeanor informal probation and formal felony probation is that with formal probation, the defendant is supervised by the county probation department. The defendant is assigned to a specific deputy probation officer, to whom the defendant has to report periodically, usually monthly. The probation officer is responsible for supervising the defendant and reporting to the Court and violation of the various probation conditions with which the Court require each defendant to comply. For a number of offenses, such as most serious and violent felonies, or where a gun is used, probation is not allowed and the judge’s only choice is to sentence the defendant to a term in state prison. California has a Determinate Sentencing Law (“DSL”), in which each felony has three specific sentences: a low term, a mid term and a high term. For example, robbery of a person at an ATM is first degree robbery. First degree robbery is punishable by a low term of three years in state prison, a mid term of four years, and a high term of six years. The presumptive sentence would be the mid term, unless there are aggravating or mitigating factors, which would justify the high and low terms, respectively. In addition to the term applicable for the crime, there may be sentencing enhancements, for having a prior conviction, or infliction of great bodily injury, or using a gun. There are numerous types of enhancements that can be pleaded to and proved. The Three Strikes Law also may affect the sentence imposed. The Three Strikes Law provided that if a defendant has two prior serious or violent felony convictions, and then commits any felony, even if not serious or violent, then the defendant is ineligible for probation and the punishment for that third felony is life imprisonment with a minimum term of 25 years. If the defendant has only one prior serious or violent felony, then the punishment is twice what it would be otherwise. Thus, if a defendant has a prior conviction for robbery (a violent felony), and a prior conviction for residential burglary (a serious felony), and the defendant is then convicted of, say, passing a bad check, a felony, or a DUI with minor injuries to a passenger, a felony, the mandatory minimum punishment is 25 years to life. With only one prior serious or violent felony, the punishment for passing that bad check or DUI would be 32 months, four years or six years, instead of the usual 16 months, two or three years, as specified by the DSL. Once the sentence is pronounced, the defendant is remanded to the Sheriff with an order to deliver the defendant to the California Department of Corrections (“CDC”). The CDC decides in which state prison the defendant will be housed, and under what conditions. In cases where the punishment is death, there is an automatic appeal to the California Supreme Court. In all other cases, if the defendant feels that the court committed an error of law, the defendant must file an appeal, which will be heard in the Court of Appeal. The Court of Appeal normally does not retry the case or re-decide the facts. Instead, it determines whether the law was applied correctly by the trial court to those facts. The purpose of this section is to provide general information on the law, which is subject to change. If you have a specific legal problem, you may want to consult a Los Angeles criminal defense lawyer for legal assistance. Our law firm serves San Fernando, Van Nuys, Woodland Hills, Burbank and many other areas of Los Angeles County. Misdemeanors are punishable by a fine or a term in the county jail, or both. For most misdemeanors, that means up to six months in jail and up to $1,000.00 fine. Examples are petty theft, prostitution, and driving under the influence as a first offense. For some misdemeanors, the maximum punishment is a year in county jail and a fine of $1,000.00. Examples of these are criminal threats, forgery, and driving under the influence as a second offense. For some misdemeanors, the maximum fine is greater than $1,000.00, such as battery ($2,000), domestic violence with injuries ($6,000) and vandalism ($50,000). For some misdemeanors, there is a minimum jail term, such as 48 hours for driving under the influence as a second offense, 15 days for domestic violence with injuries as a second offense, 45 days for prostitution as a second offense, and 90 days for brandishing a firearm. For some misdemeanors, there is a minimum fine, such as driving under the influence ($390). Most misdemeanants, however, consent to be placed on summary or informal probation, with monitoring directly by the court. This means that the court suspends imposition of the statutory sentence and instead conditionally releases the defendant back into the community, upon specified conditions geared to rehabilitate and reform the defendant. During the term of probation, the judge requires the defendant to report back to court periodically, such as every ninety days for a progress report. If the defendant completes all of the conditions of probation, then at the end of probation no statutory sentence will be imposed. If defendant fails to complete the conditions, then the judge may terminate probation and impose a sentence of jail and fine, up to the maximum allowed by law. If the defendant refuses the conditions of probation, then the judge also can sentence the defendant up to the maximum allowed by law. Whether you are looking for a Burbank Criminal Lawyer, Glendale Criminal Attorney, San Fernando Criminal Lawyer, Van Nuys Criminal Attorney or an attorney in other parts of Los Angeles, Schwartz & Weinrieb is ready to aggressively defend your charges. 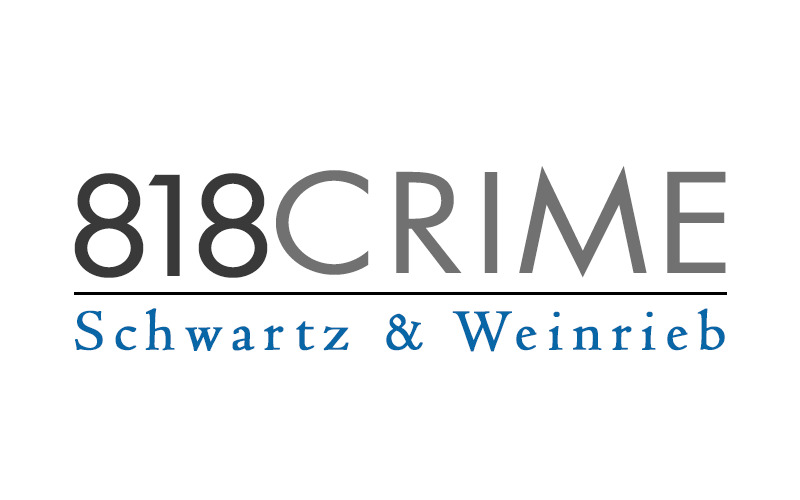 If you or a loved one has been charged with a criminal offense, contact a criminal defense attorney from Schwartz & Weinrieb today at (818) 888-2711.